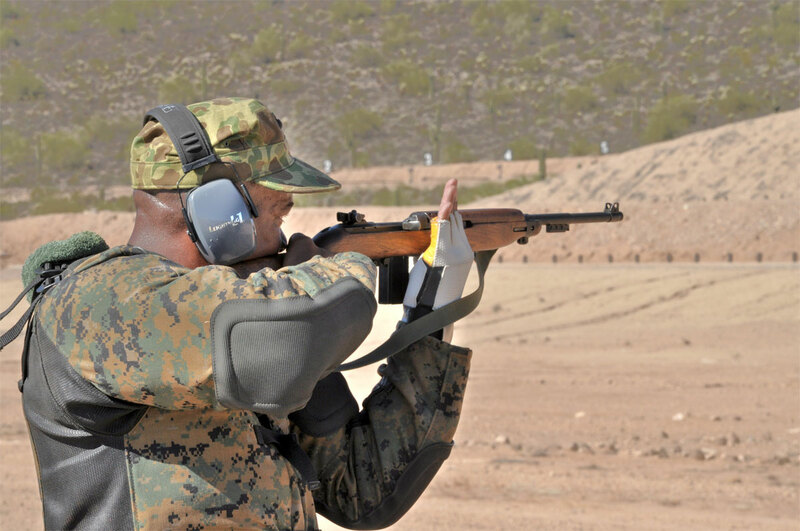 The 2012 Western CMP Games and Creedmoor Cup were held October 13-21, 2012. 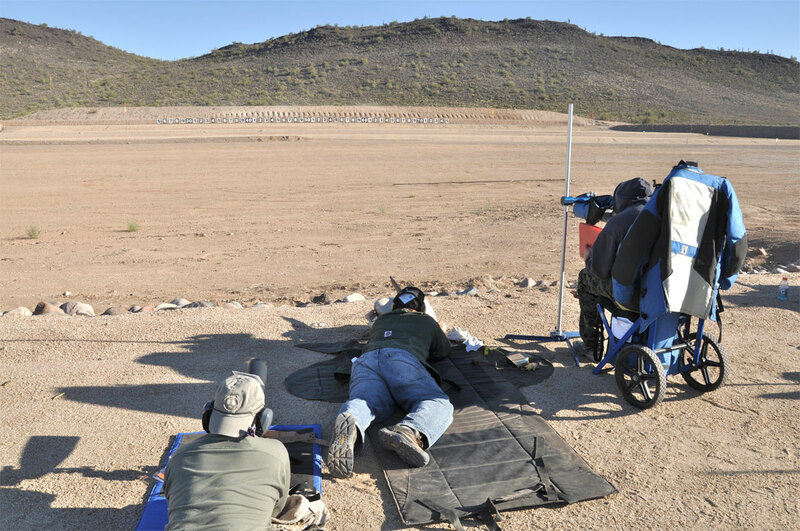 This combined event starts off with the CMP Games followed by the Creedmoor Cup competition. 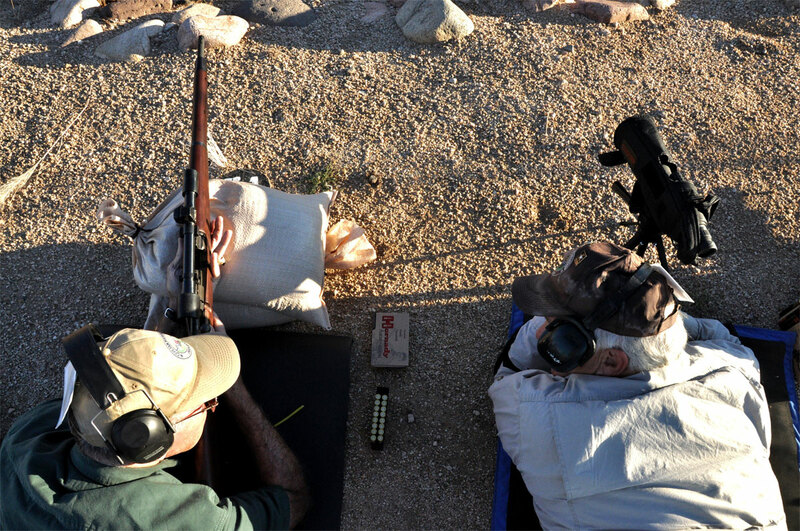 The CMP and Creedmoor matches, hosted at the Ben Avery Range near Phoenix, AZ, were well-attended this year. Competitors were treated to clear skies, and mostly favorable conditions. 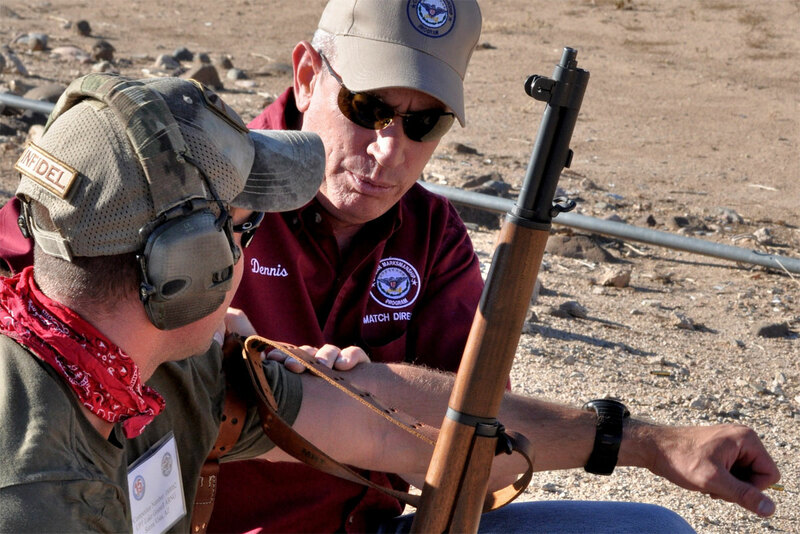 A highlight of the CMP season, the Western CMP Games includes numerous disciplines such as: M1 Garand Match, Springfield Match, Vintage Military Rifle Match, Vintage Sniper Rifle Match, M1 Carbine Match, and the Rimfire Sporter Match. 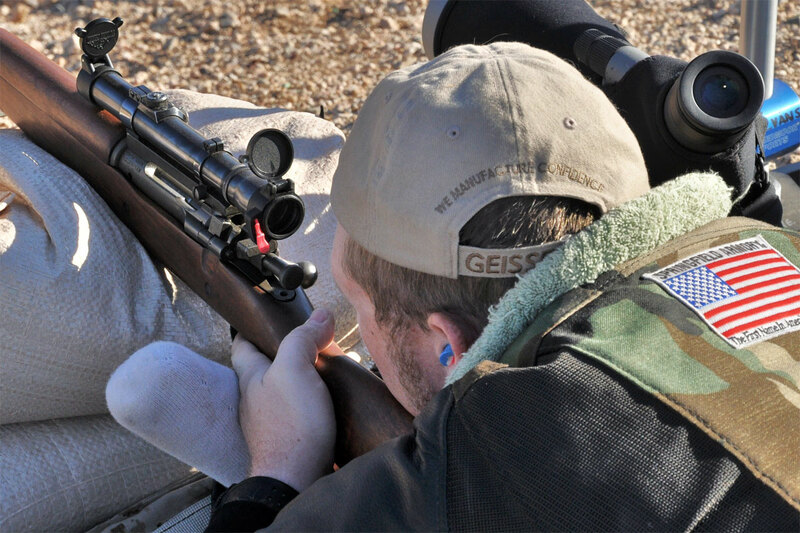 The Creedmoor Cup is a High Power-type event, with team and individual competitions for both Service Rifles and Match Rifles. The interim Western CMP Games results are found at the link below. It appears these results are incomplete, and we are still awaiting verification of the final scores (for all days). Check back here Monday and we should have the final, confirmed winner list. In 4-Man Team Competition, the CA Killer Rabbits & One Grizzly Team won the Service rifle event with a 1895-56X score, while the Remington Roxburgh team won the 4-Man Match Rifle Competition with a 1965-73X combined score. Top Individual Match Rifle Shooter was Nick Mowrer (2376-103X) followed by Nathaniel Guernsey with 2361-89X. Scoring 2338-64X, Joel Sylvia won the Service Rifle Division, while Sagen Maddalena finished second with 2330-80X. Sagen was also High Junior (Server Rifle). Get Involved – Though shooting is a pretty static sport, there’s a lot happening on the firing line. First off, let shooters know you’re there so they aren’t surprised when you walk up on their firing point. Make small talk and set the shooter’s mind at ease. When you do that you’ll be surprised how many smiling faces and enjoyment will show up in your photos. Solid Position – Just like shooting, regardless of the type of camera you use, maintain balance and stable footing – that way you won’t bounce around and blur a good shot. Get close to the subject, whether it’s with a zoom lens or if you need to step closer, remaining in a safe position. Anticipate – Don’t just snap random photos of a group of shooters and call it good. If you’re reading this, you’re most likely a shooter, so you know what to expect. If there’s action involved, you know what’s coming next, so be ready for it and snap the shutter when it happens or just beforehand. Wait for a reaction or catch the shooter concentrating, making equipment adjustments or maybe even catch that empty shell casing flying out of the chamber. If you’re taking snaps of a sniper match, catch the guys discussing the shot, calling wind – yelling at each other! Be Smart – You don’t have to be a rocket scientist to capture good images, but it pays to consider the environment you’re shooting in. A cloudy bright day is perfect for photography. 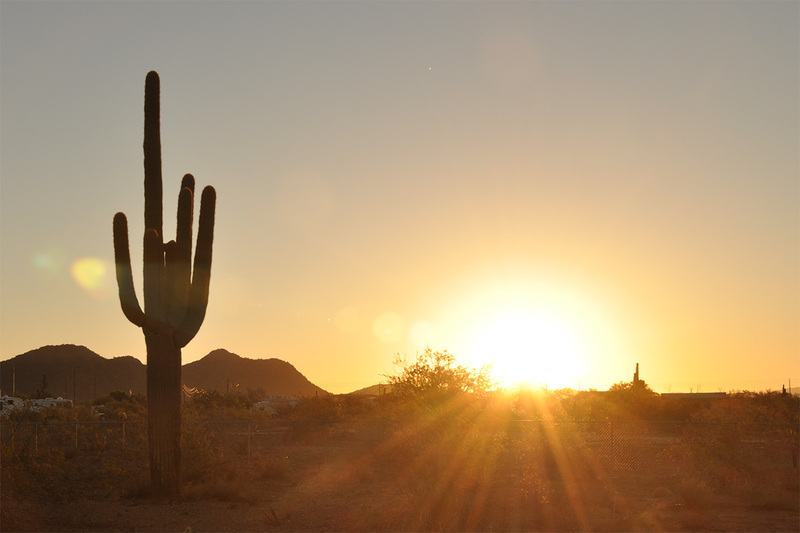 Harsh sun or super shady periods like early morning or dusk can be challenging. Unless a flash will disturb the shooter, using a flash most of the time is a great practice when shooting close-up photos. A flash will fill in the shadows and many times put a little needed light on the subject to improve color and tone. Don’t shoot into direct sunlight. Don’t stand so far away from the subject that you can’t identify the shooter. Be an Artist – So what if your elementary school sculpture of your mom looked like the Creature from the Black Lagoon? That doesn’t mean your creativity hasn’t evolved. If there’s a sports photograph you really like, try to duplicate it with your camera. Try unusual angles, extreme close-us with a zoom lens – photos that show the shooter’s character, his/her ammo box, scorebook, shooting glasses – the possibilities are endless. Shoot 10s and Xs with your gun AND your camera. With a little thought and determination, your shots will be impressive! Share the post "2012 Western CMP Matches and Creedmoor Cup Results"
David, a hunter and wilderness skills teacher from Scotland, has created an informative 9-minute video that should interest varmint hunters and fans of Tikka rifles. In the video, David demonstrates the features (and remarkable accuracy) of a factory Tikka T3, chambered in .223 Remington. 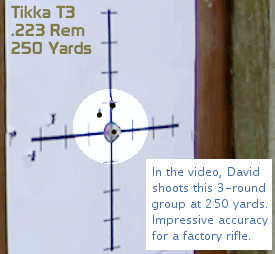 With David’s handloads, this rifle has grouped just over an inch at 250 yards, as shown near the end of the video. You’ll notice that David’s rifle is equipped with a sound moderator (aka “suppressor”), a common hunting accessory in Europe. (Someday, hopefully, American shooters in all states will be able to employ sound suppressors without misguided, restrictive laws or prohibitive taxation.) 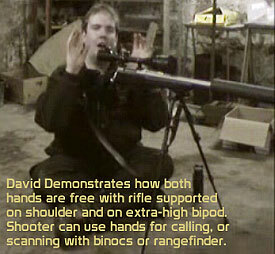 David explains that a suppressor has many benefits. In addition to protecting the shooter’s hearing, the suppressor reduces the report of the shot, so there’s much less chance of spooking the game. A good suppressor also reduces recoil substantially. David uses his rifle primarily for fox-hunting, often done at night. He employs a variable-power scope with an illuminated reticle to target his night-time prey. David offers many useful tips for predator hunters. He prefers an extra-high Harris bipod. With the bipod’s legs fully extended, he can assume a comfortable and solid sitting position. The rifle is supported on his shoulder and on the bipod, leaving both of his hands free. 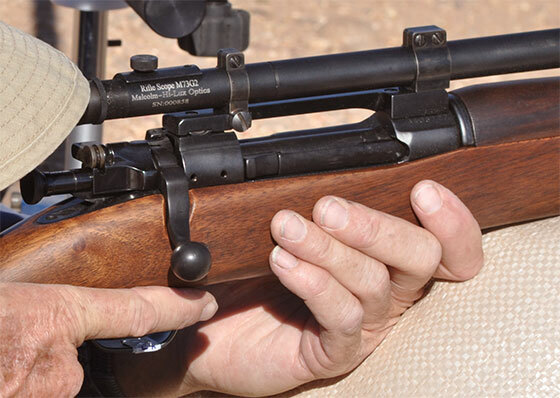 Being able to support the rifle without gripping it is a major advantage, David explains. 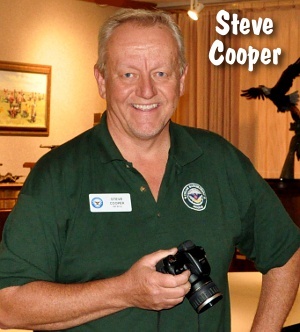 This frees his hands to search for animals with binoculars or scan distances with his rangefinder. Additionally, he shows how to call in foxes, blowing on his cupped hands to make an very realistic distress call. This guy doesn’t need an electronic boom box with recorded sounds to effectively call in a fox. We think you’ll enjoy the video, even if it is a bit grainy and David’s accent may be a bit hard for Americans to understand. 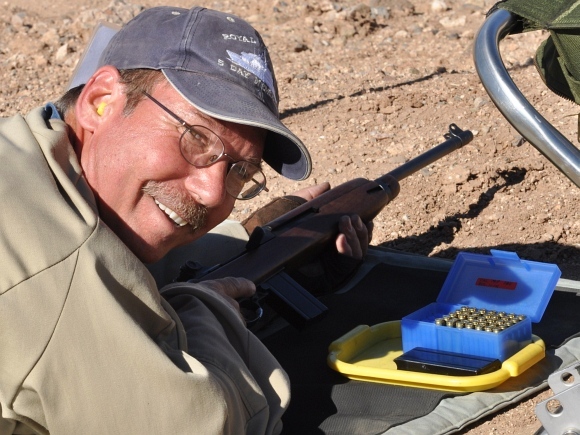 He offers a lot of good, solid advice, and he certainly demonstrates the capabilities of the Tikka rifle. Above, check out the three-shot, 250-yard group David shoots. We’d say that’s better than minute-of-varmint accuracy. Tikka T3s have a reputation for excellent accuracy and smooth-working actions. Current street price for a stainless T3 Lite (like David’s), with synthetic stock, is about $580.00, but we’ve seen them as low as $540.00 on sale (price without scope). Share the post "Tikka T3 Review and Varminting Tips from Scotland"